This Amazonian dish reminds me of green eggs and ham! 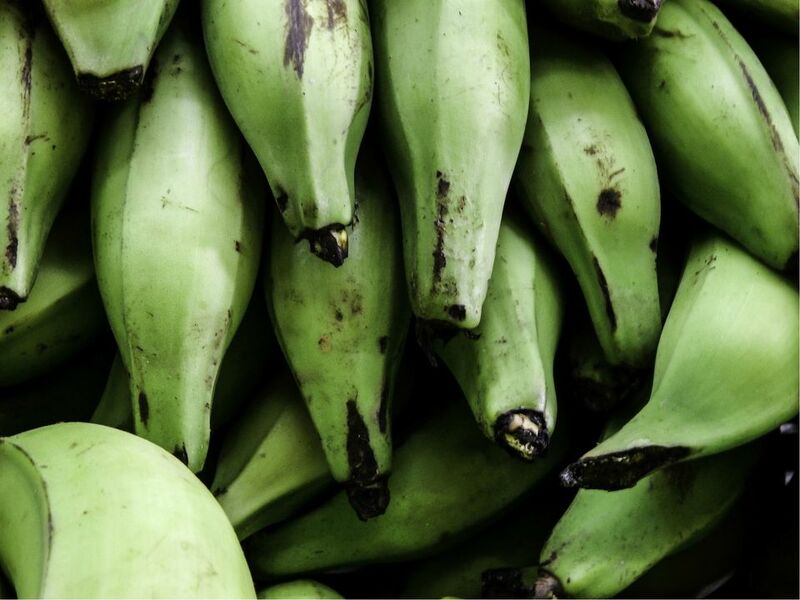 The traditional preparation involves roasting green plantains on the grill, then mashing them (with a rock or mortar and pestle) with some lard, and shaping them into balls, stuffed with a bit of chicharron (fried pieces of fatty pork) or bacon. Tacachos are typically served with a piece of Amazonian cured ham called cecina and sometimes chorizo as well. If you don't have a grill, you can roast the plantain in a skillet. The fritters can also be stuffed with bacon, chorizo, or cheese. I like to fry the fritters quickly before serving to crisp them on the outside. Place hot plantains in a bowl with 3 tablespoons lard and mash with a pestle, or heavy spoon or potato masher (or a rock, to be really traditional), until the plantains are well ground up. Season with salt and pepper to taste. Chop bacon. Divide plantain mixture into 8 portions, and shape each one into a ball. Flatten each ball in your hand, pressing a well into the center. Fill with some chopped bacon (or chicharrón) and cover the bacon with plantain, reforming the ball with the bacon inside. Set plantain fritters aside.